Back in August, Vodafone UK added the pinkBlackBerry Curve 9320 to their line of offerings, and now Bouygues Telecom in France is offering it as well. While the pink version is not available in stores, you can order it online for as little as € 9.90 after instant discount on a qualifying plan. 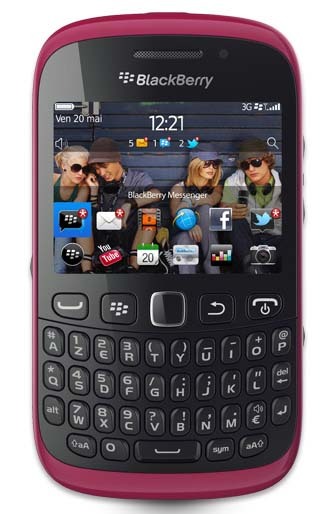 Of course, if pink isn't your style, Bouygues Telecom also carries the Curve 9320 in black or white and the online discount applies to those as well. These low-cost, entry level devices carry on the long standing Curve name and feature a full QWERTY keyboard, BlackBerry 7.1 OS, 3.2MP camera, upgraded specs and much more. If you'd like to pick up this device, you can check them out at the Bouygues Telecom website. Thanks Superfly_FR!